CHICAGO, IL –(ENEWSPF)–September 1, 2017. The first annual report of a federally-appointed monitor regarding the Illinois Department of Corrections’ (IDOC) treatment of mentally ill prisoners was released to the public today. It confirms the complaints prisoners and their lawyers have made regarding the care provided to prisoners with mental illness. The 113-page report characterizes the psychiatric care as “grossly insufficient” and “extremely poor” in quality. When Illinois prisoners are suicidal, officials put them in “crisis watch”—a barren cell with no books, radio, TV, paper, or blankets. The prisoner is kept naked, except for a “suicide smock.” The light is on 24 hours a day while a guard watches through Plexiglas. Typically, prisoners are kept here until they claim they are no longer suicidal. 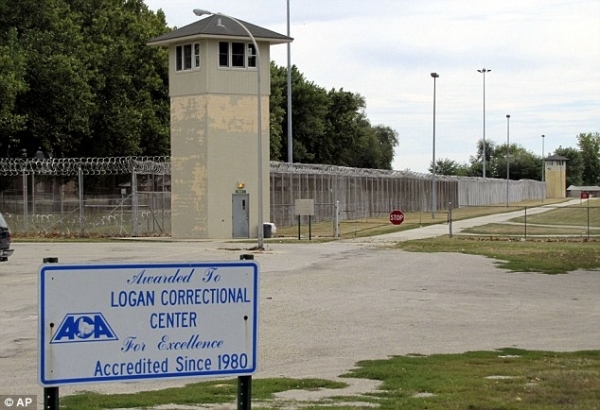 One seriously mentally ill woman at Logan Correctional Center, “Melinda,” continually finds ways to self-harm, including cutting her arms on razor wire on the prison yard fence. Prison doctors refuse to use anesthesia when stitching up her self-inflicted wounds. Most recently, “Melinda” broke a light bulb in her cell and ate it, then was denied proper medical care and written a ticket for destruction of state property. When acting out due to her mental illness, she was pepper sprayed, then charged for the cost of the pepper spray. The author of the report, Pablo Stewart, MD, was federally appointed as the result of the settlement of Rasho v. Walker, a class action lawsuit brought by Uptown People’s Law Center, Equip for Equality, Mayer Brown, and Dentons on behalf of all prisoners with mental illness in Illinois. “I am well aware that such a major shift in addressing the needs of the mentally ill offenders for an institution as large as IDOC can take time. For issues such as suicide prevention, medication management, use of force, confidentiality, discipline and preventing mentally ill offenders from deteriorating while in segregation, however, the time is now,” Stewart said in the report. The Illinois Department of Corrections is ahead of schedule with regard to some changes necessitated by the Rasho v. Walker settlement, including opening a desperately needed 44-bed mental health hospital in Elgin, and a dedicated mental health facility in Joliet. Once opened, the new units should help relieve some of the harm being inflicted on those prisoners with the most serious mental illnesses. However, even when these facilities open, thousands of prisoners with serious mental illnesses will still not be receiving the care they require and are entitled to under the Eighth Amendment of the US Constitution. IDOC estimates there are 12,000 prisoners with mental illness in the system; however, many experts think the actual number is much higher. “With violations of the agreement outnumbering the areas of compliance, our clients are being harmed. Class counsel have initiated the enforcement procedures of the settlement and we hope to see improvements soon,” said Amanda Antholt of Equip for Equality. “Many important things have been accomplished, unfortunately much that was committed remains to be done,” said Harold Hirshman, senior counsel, Dentons, and lead pro bono counsel in the case. Uptown People’s Law Center (UPLC) is a nonprofit legal services organization specializing in prisoners’ rights, Social Security disability, and tenants’ rights and eviction defense. UPLC currently has seven pending class action lawsuits regarding jail and prison conditions.